The Houston Professional Fire Fighters Association says the initial batch of layoffs could affect up to 70 cadets. 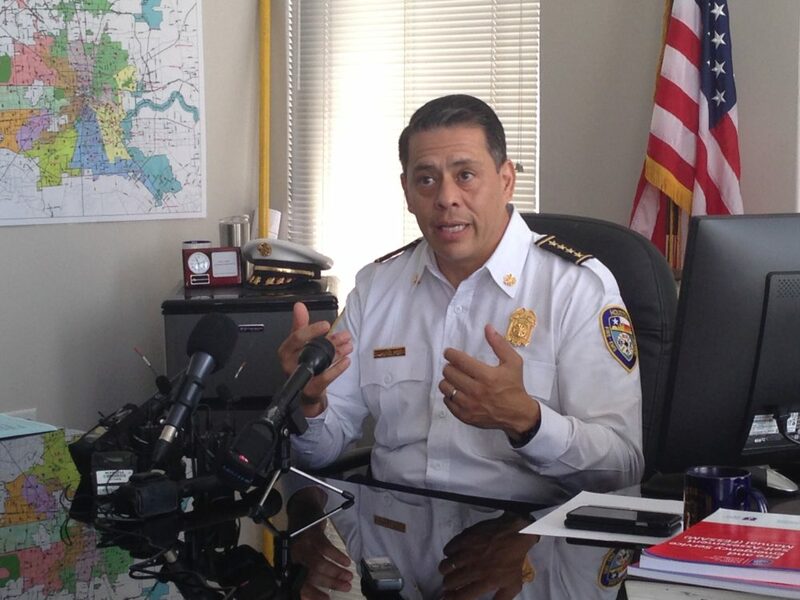 Houston Fire Chief Samuel Peña. Fire Chief Samuel Peña sent Thursday the first layoff notifications due to the voter approval of Proposition B last November, which requires the city to compensate police officers and firefighters equally on a rank-by-rank basis. The Houston Professional Fire Fighters Association said the initial batch of layoffs could affect up to 70 cadets. Peña’s letter says the city “has experienced a sizeable budget shortfall due to the implementation of Prop. B.” The last day of employment for those who have received the letter will be June 7. 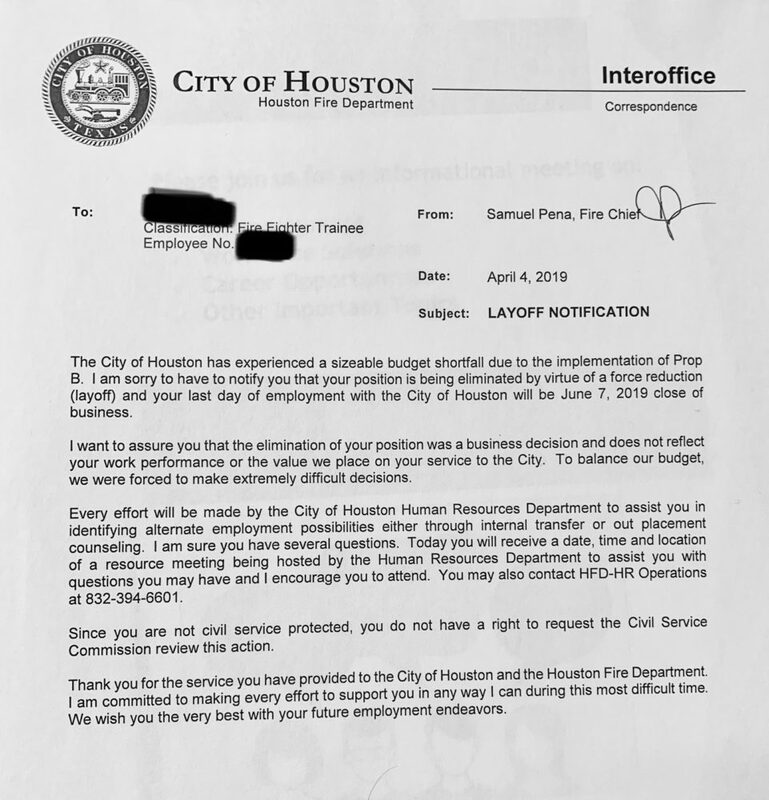 HPFFA President Patrick ‘Marty’ Lancton criticized Mayor Sylvester Turner in a statement, saying the reduction of the Fire Department will result in slower response times. On Wednesday, Turner proposed phasing in the firefighter raises over three and a half years, instead of over a five-year period, as he had proposed last week. The mayor has repeatedly argued Prop B didn’t identify a funding source for the raises and the city needs to keep its annual budget balanced. The city is reportedly preparing to lay off up to 400 firefighters and 100 other municipal workers, in order to fund the raises.